This is part 2 of a four-part series based on our new State of the Industry – Content Services market research study. Part 1 -- What exactly is the link between IIM and Digital Transformation? The past few years have created many new challenges for the Information Professionals who are entrusted with managing an organization’s digital assets. 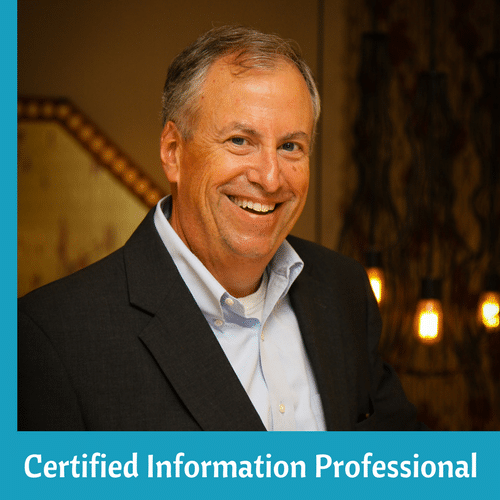 Information is cascading down upon every organization in unprecedented volumes and forms, challenging traditional and manual concepts of records management and information stewardship. Every organization – regardless of industry – is now a technology organization. But rising information chaos is a very real and strategic threat to the ability of organizations to succeed, or even survive. An effective Content Services strategy is key to addressing these challenges. As content capabilities have become more modular, the need to make them easily available to a growing set of business processes becomes more critical. 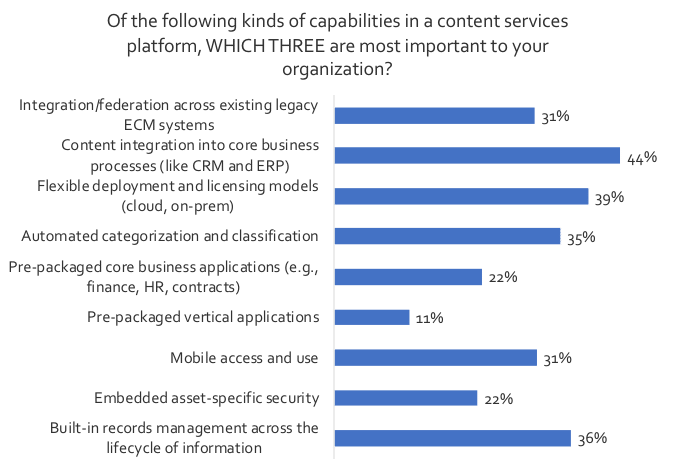 And as the cost of these capabilities has come down, the kinds of problems that organizations seek to address with Content Services has expanded. 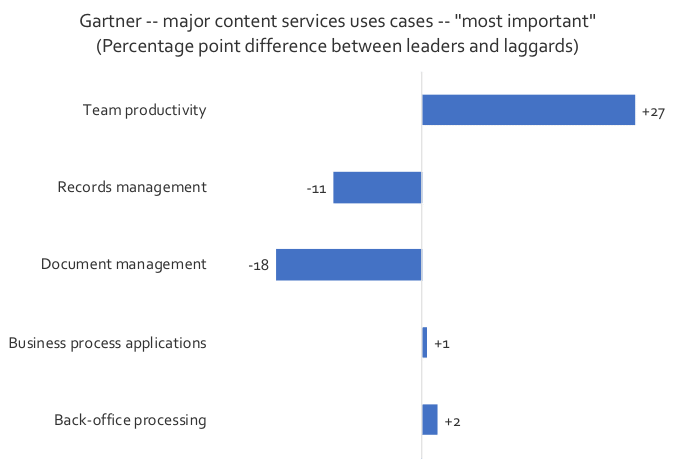 Our research suggests that the two most important use cases for Content Services center around knowledge worker productivity and enabling business processes. 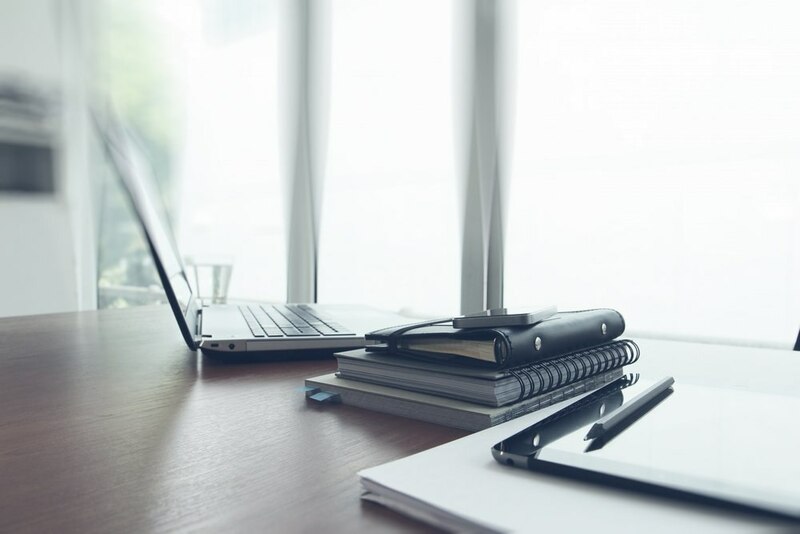 For many organizations, first generation content management capabilities – back-office processing, document management, and records management – are starting to be table stakes in the drive to digital transformation. For organizations that are above average in business performance (self-identified in the survey relative to their peer group), the commitment to revolutionizing the digital workplace and automating many core knowledge worker rote tasks are clearly priorities; these leading-edge organizations have moved beyond the first-generation content management basics of document and records management. Given this, what kinds of capabilities do users need in their Content Services platforms? At the top of the list are content integration into core business processes (44%), flexible and hybrid deployment models (39%), built-in records management capabilities across the lifecycle of information (36%), and automated categorization and classification (35%).